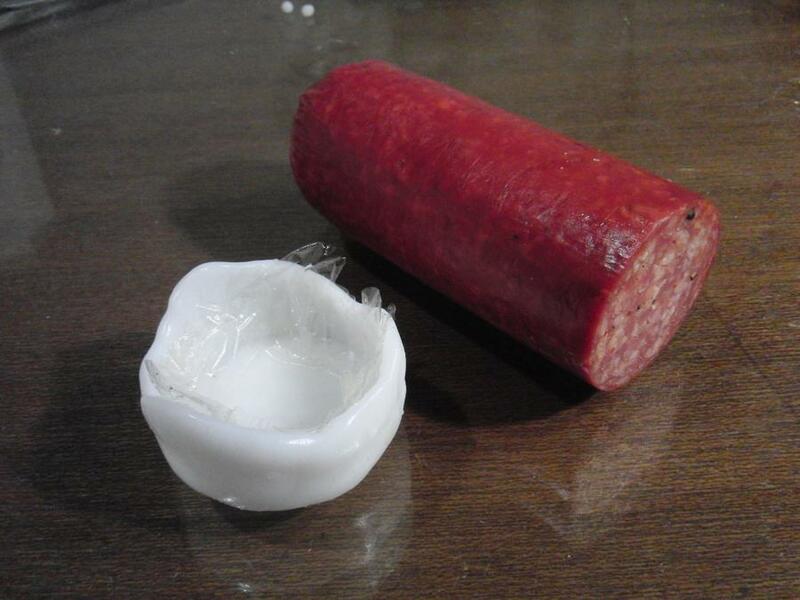 Here's a Plastimake cap for keeping your stick of salami fresh. It was made by wrapping cling wrap around the cut end of the salami, then moulding warm Plastimake over the cling wrap. 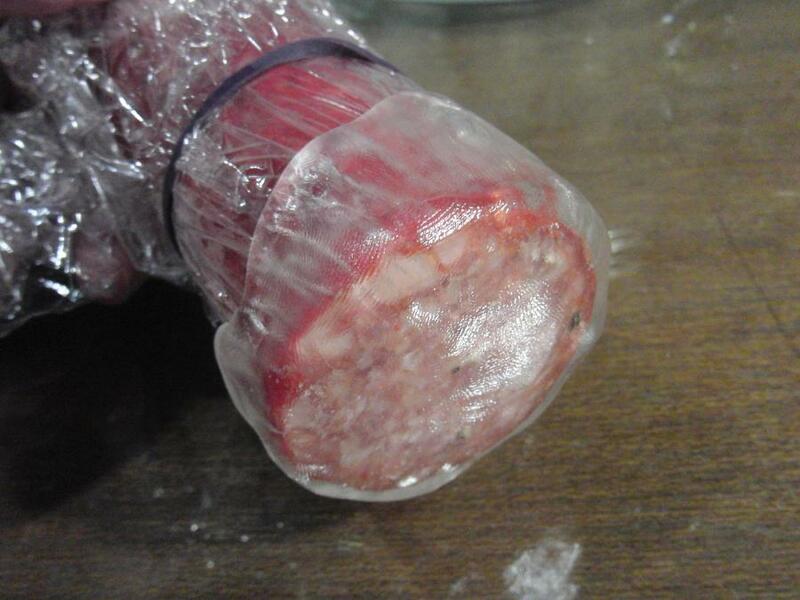 Once it cools, the Plastimake cap will be precisely the right size to fit snugly over the end of the salami. Leave a little cling wrap inside the cap, that way you can replace it with fresh cling wrap when required, while continuing to use the same cap. 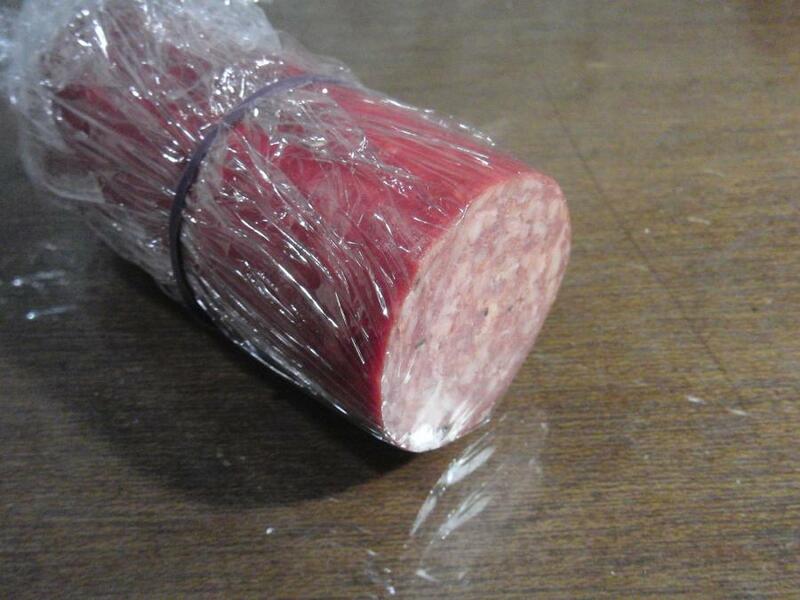 Plastimake won't stick to cling wrap. 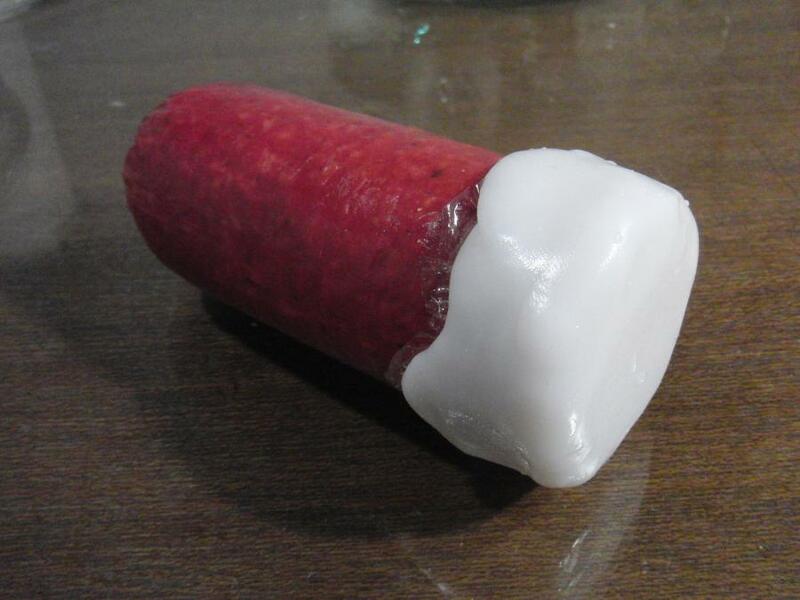 This cap uses 20g of Plastimake.